SIDIZ’s highly competitive latest slide&sink system “T55” is the world’s first developed product through its own chair institute. This double-layer structure slide&sink system is now called an “innovative product” as it enables free sliding of the back part of a chair depending on various movements of users after the users are seated. Such available smooth movement minimizes the potential problem of friction between users’ back and the back part of a chair and even realizes three-dimensional movement between body and chair by supporting all sides of the back plate of a chair. In addition to these available benefits, various controls enabling varied, convenient, and simple design with high performance is also possible. This T55series acquired recognition of NEP(New Excellent Product) as exceptional slide tilting system. And its best performance was also again certified through receiving a first level award that recognizes highest level ergonomic design in function. All of these mean this product has high benefits as not only of technical &functional aspects, but also of basically design. 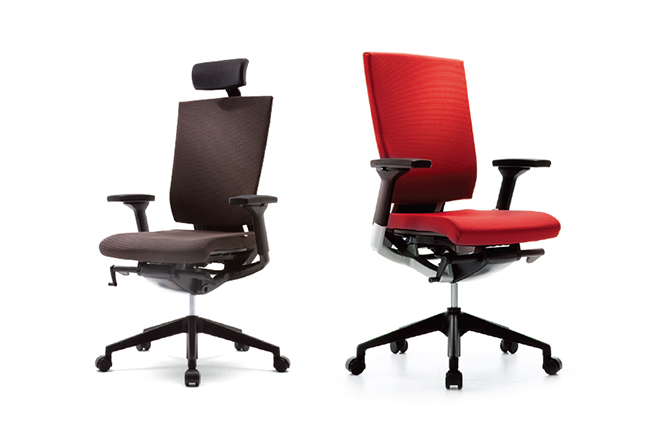 The receiving of Ergonomics Design Awards(2009) is the first case among local chair companies proving it is designed with best ergonomic features in Korea.